Garbage and yard debris pickup schedule for Sebastian, Vero Beach. SEBASTIAN – Due to Hurricane Irma, the Indian River County Solid Waste Disposal District has suspended recycling services in Indian River County until further notice. This is for residents in Sebastian, Fellsmere, and Vero Beach. 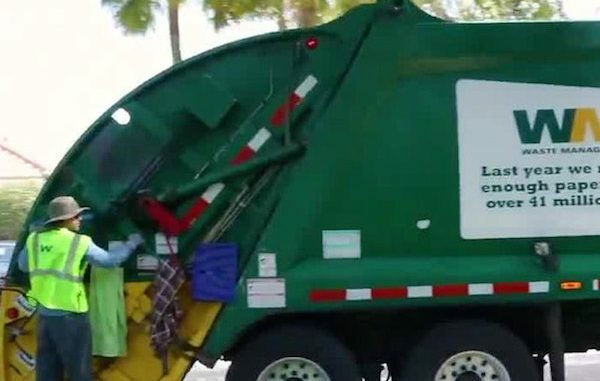 For Unincorporated Indian River County and the City of Fellsmere, Waste Management will provide garbage, yard waste, and bulk services to their subscription customers as follows. Waste Management Commercial service will also resume on Tuesday (9/12). The Indian River County Landfill will resume normal 7 a.m. to 5 p.m. schedule starting Tuesday, September 12th. All of the Customer Convenience Centers will be closed on Tuesday, September 12th and all five centers will be open from 7 a.m. to 6 p.m. beginning Wednesday, September 13th.